A meteor decimates the U.S. government and paves the way for a climate cataclysm that will eventually render the earth inhospitable to humanity. This looming threat calls for a radically accelerated timeline in the earth’s efforts to colonize space, as well as an unprecedented opportunity for a much larger share of humanity to take part. Not enough? Okay, I’ll elaborate. What do you get when you throw 90s asteroid films Deep Impact and Armageddon into a blender with Hidden Figures, The Right Stuff, and Interstellar? 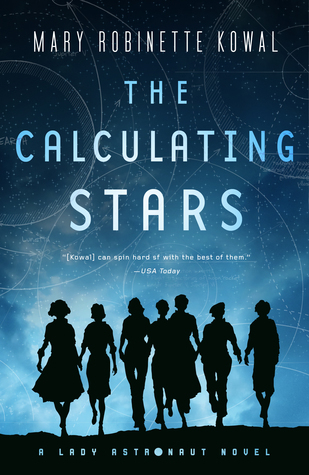 Probably something good, but maybe not as thrilling and inspiring as Mary Robinette Kowal’s first of two Lady Astronaut books, The Calculating Stars. The Calculating Stars starts with disaster. The year is 1952. Newlyweds Elma and Nathaniel York are enjoying a romantic getaway in an isolated cabin in the Pocono mountains, when there’s a flash that lights up the sky. Atomic bomb? Nope. Elma and Nathaniel are both scientists, and they can rule out a bomb pretty quickly. But the flash is followed by an earthquake that brings the cabin down around them, and they figure out what it must be: a meteorite strike, someplace near enough for them to feel the aftershocks, and they brace for the airblast that they know must follow. It’s an unimaginable catastrophe. The meteorite has struck Earth just off the eastern seaboard. Washington DC has been obliterated, as have most of the coastal areas of the United States. But this is only the beginning of the disaster. Elma has advanced degrees in both physics and mathematics, and is able to calculate before anyone else that this isn’t just a rough period that society will eventually overcome. The cataclysm and its impact on the world environment will, inevitably, over a period of years, lead to extinction. The Earth will become uninhabitable within their lifetimes. There’s only one solution: Space. The world’s scientific communities must come together to accelerate research into space travel, with the aim of establishing colonies on the moon and on Mars. Nathaniel becomes lead engineer for the international space agency, and Elma works in mission control as a computer, one of the brilliant mathematicians who calculate trajectories and all the complicated equations that enable rockets to leave earth and enter orbit. But Elma, a WASP pilot during World War II, has even bigger ambitions. She wants to fly… and she’s determined to become an astronaut. Those little girls thought I could do anything. They thought that women could go to the moon. And because of that, they thought that they could go to the moon, too. They were why I needed to continue, because when I was their age, I needed someone like me. A woman like me. This story is just so damned amazing. The author clearly draws heavily from history, and provides a guide to historical events and references and a bibliography. Her depiction of the space race, moved up a decade to the 1950s, feels real and exciting. By placing events in the 1950s, she also captures the social inequities and injustices of the time. 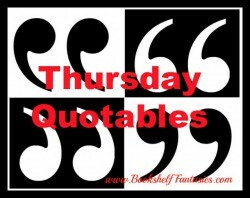 The story takes place pre-Civil Rights, pre-feminism and women’s liberation. Women may be able to apply for the astronaut training program, but they’d better be damned sure to put on lipstick first. Their press conferences feature inane questions about what they might cook in space, and the women are forced into skimpy swimsuits for their underwater tests – not the flightsuits the male candidates wore. Women of color don’t even make it through the door, excluded from the application process entirely, even those with advanced degrees and unbeatable hours as pilots. You might think that in the desperation to save a species, these types of discrimination might fall by the wayside for the greater good of preserving humanity… but people in control tend to want to stay in control. It’s just as infuriating to read about in The Calculating Stars as in any non-fiction account of the era – and because we come to know these women and understand just how amazingly smart and talented they are, it’s all the more frustrating and painful. He shifted so he could reach between us. His fingers found the bright bundle of delight between my legs and… sparked my ignition sequence. Everything else could wait. I think you get the picture. If you’ve stuck with me this far, you can probably tell just how very much I loved this book. 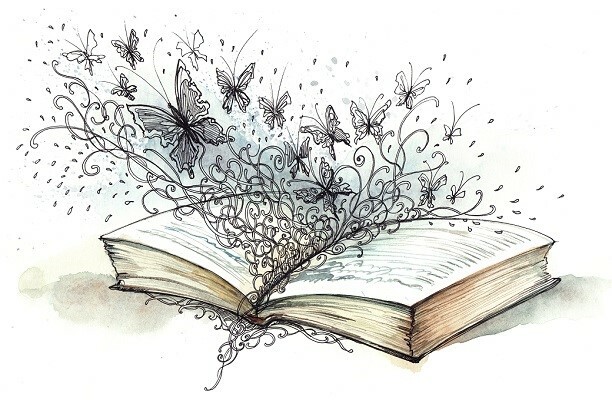 My inclination is to move straight on with book #2, The Fated Sky… but I think I want to savor this moment for a bit before continuing (and reaching the end of the story). The Calculating Stars is a brilliant read, combining a story of people we come to care tremendously about with a world-ending disaster and the human spirit of ingenuity that’s so key to the early days of space exploration. This book is by turns heart-breaking and inspiring, and I loved every moment. Note: In 2012, the author published a short story called The Lady Astronaut of Mars. You could consider The Calculating Stars as a prequel of sorts, as it’s set in the same world and features certain of the same characters. I was charmed and moved by the story when I first read it, and read it again after finishing The Calculating Stars — and was even more moved than I was originally. 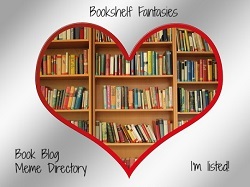 If you’re interested in the flavor of this world, you can find the story here… but I recommend starting with the novels for the full, rich experience. 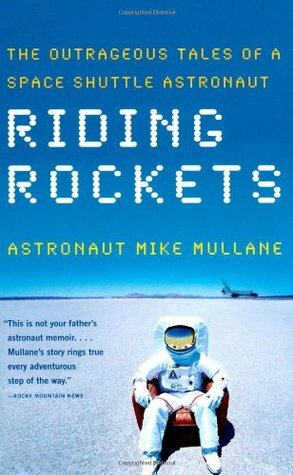 USAF Colonel Mike Mullane was a member of this astronaut class, and Riding Rockets is his story — told with a candor never before seen in an astronaut’s memoir. Mullane strips the heroic veneer from the astronaut corps and paints them as they are — human. His tales of arrested development among military flyboys working with feminist pioneers and post-doc scientists are sometimes bawdy, often hilarious, and always entertaining. Mullane vividly portrays every aspect of the astronaut experience — from telling a female technician which urine-collection condom size is a fit; to walking along a Florida beach in a last, tearful goodbye with a spouse; to a wild, intoxicating, terrifying ride into space; to hearing “Taps” played over a friend’s grave. Mullane is brutally honest in his criticism of a NASA leadership whose bungling would precipitate the Challenger disaster. I have a soft spot for a good space exploration story! I read Mary Roach’s Packing for Mars when it came out, and thought it was hilarious — and I’m pretty sure I either read or heard her recommending this book. Memoirs by people involved in NASA and the space race and the science of space exploration are just so fascinating to me. I really do need to make a point of reading this one!